Located just off Highway 400 south of Parry Sound, Georgian Nordic’s granite outcroppings and mostly coniferous forest remind visitors that they are entering Northern Ontario. The terrain is dotted with small hills and pretty little streams. Great for photos! Some of the resorts we visit have a definite commercial style with a range of tempting services and products to spend your money on. Not here! 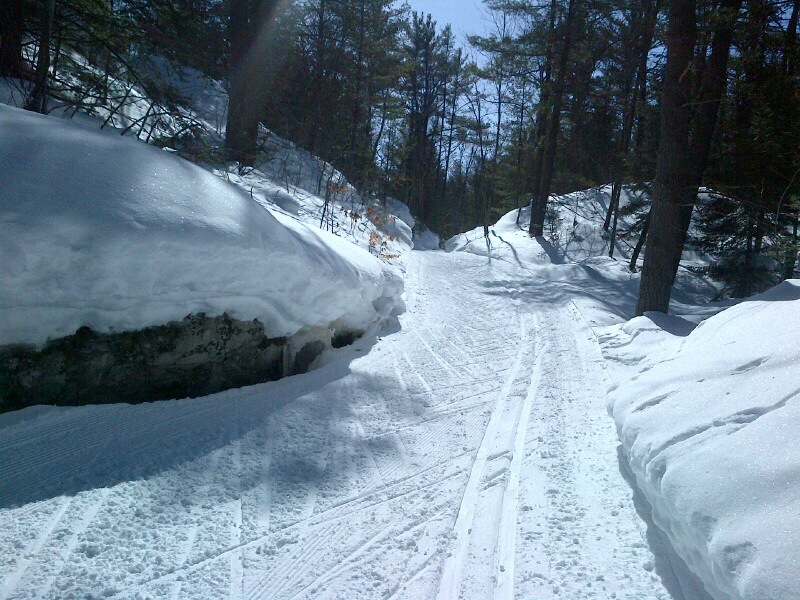 Instead, visitors are welcomed into a comfortable, volunteer-driven enterprise which operates as a mountain biking and canoe club when there is no skiing. The roomy chalet is warmed by a wood stove and while there is no formal food service, you may find muffins and cookies available (leave your money in the box) and you can help yourself to the kettle and microwave. 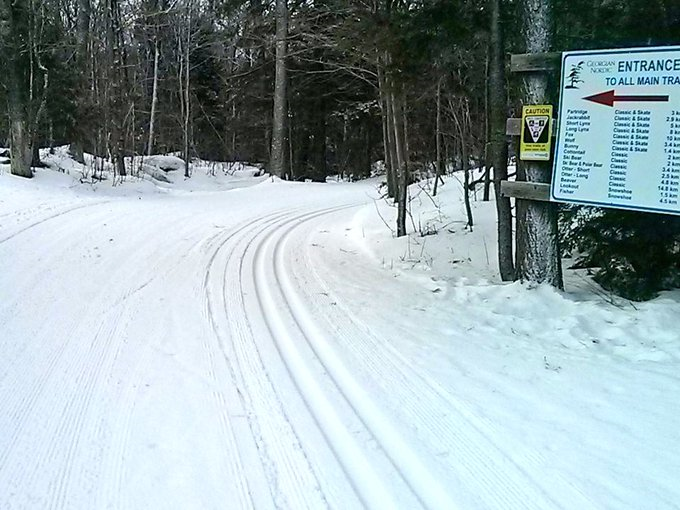 All the trails have animal names like Otter, Rabbit, Beaver and Cottontail. The chalet is called “Borrow”. Trail details can be found here. We are watching the weather and keeping our fingers crossed for a spring skiing trip to this special destination. 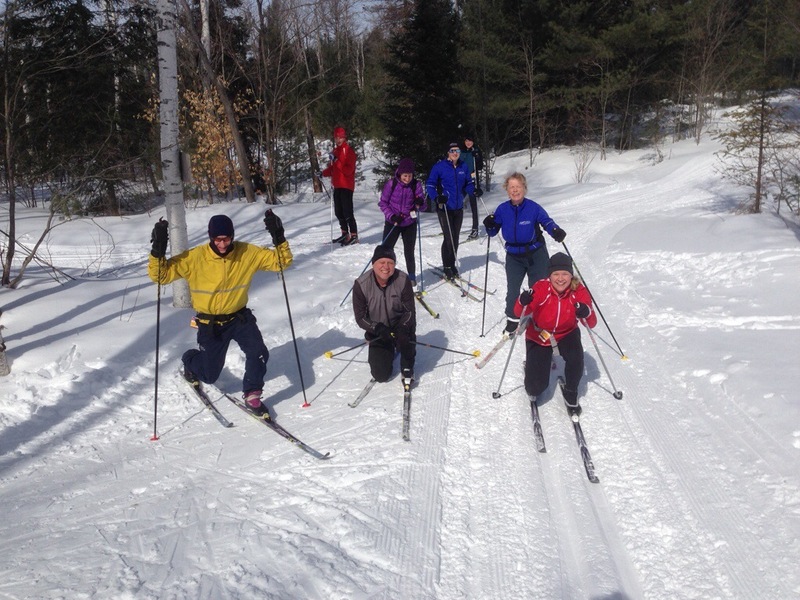 This entry was posted in Sunday Trips, XC Skiing on March 8, 2016 by trakkers.